What is the definition of materialism? Understanding this concept is important when it comes to examining shopping addictions. In capitalist societies such as the United States, where consumerism not only runs rampant but is encouraged to boost the economy, materialism is a serious problem. Simply put, materialism is the importance one places on material possessions. These possessions could be anything, such as clothes, shoes, handbags, cars, electronic equipment, and gadgets. One's home also counts as a material possession, even though everyone needs a place to live. Materialistic people don't view a home as simply a place that they dwell in for shelter but a place that reflects their social status in some way. Someone with a high level of materialism, described as "materialistic," considers material possessions to be central to their life and their identity. They focus a good deal of their energy on acquiring possessions. Someone with a low level of materialism described as "non-materialistic," or "not materialistic," does not consider acquiring possessions to be particularly important, although they vary in the extent to which they acquire material possessions in order to meet other objectives, such as social acceptance. In the United States, materialism is as American as apple pie and football. It is in many ways a national pastime. The Thanksgiving holiday has largely been overshadowed by Black Friday sales and many department stores even hold sales on Thanksgiving itself, spawning the phrase Brown Thursday. In short, a day that was supposed to focus on gratitude, family and, yes, football, to an extent, is now largely centered on department store sales. Materialism has spawned other terms such as "shopaholic," "keeping up with the Joneses," and "conspicuous consumption." 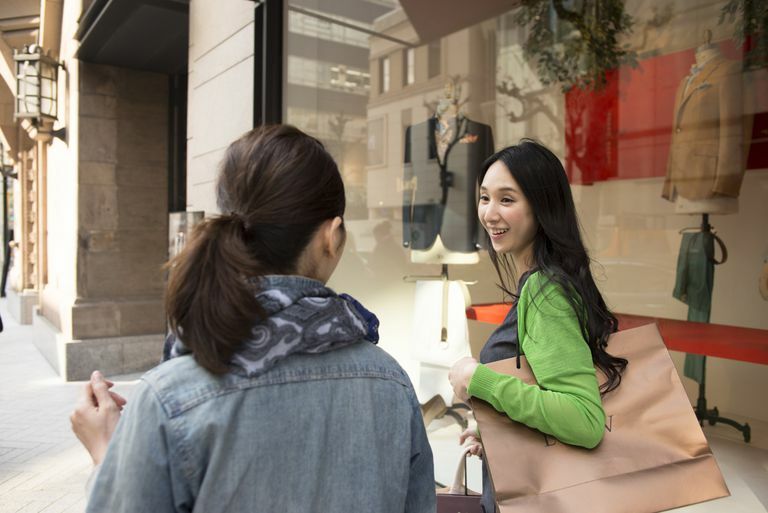 It's difficult not to be materialistic in a culture where shopping is virtually a competitive sport and where children are ostracized if they're not wearing the right gym shoes or brand name clothes. The rise of online shopping, which has its own holiday shortly after Thanksgiving, "Cyber Monday," has in many ways made it more convenient to shop and easier to become a shopping addict. One needn't leave the house to consume but simply click a button. Materialism has a number of consequences, namely debt. Millions of Americans wind up in thousands of dollars of debt after excessive holiday shopping, extravagant weddings, and too much shopping all year round. Materialism may also affect one's self-esteem. Rather than getting their self-worth from their accomplishments or unique traits, shopping addicts may feel valuable based on what they own—a fancy car, a luxurious home or an expensive handbag. Materialism can also lead to hoarding, although in this disorder people may collect items that have no worth at all—such as stacks of newspapers, buttons or other items viewed as junk. Still, when people hoard, they place an emotional attachment to material items rather than turning inward to meet their needs. If you have a problem with materialism, you may need to consult a psychotherapist about how you can overcome your tendency to shop too much.